After having breakfast proceed for in and around sightseeing of SHIMLA, visit KUFRI, India’s one of the best holiday paradise Kufri in Shimla is marvelously tucked on an altitude of 2,622 meter. The place is a tourist hotspot for its awesome picturesque and sports activities. In the evening you are welcomed by the famous shopping place of Shimla town – “THE MALL & THE RIDGE” This large open space in the heart of town presents excellent views of the mountain ranges. Cover the top spots e.g. Lakkar bazaar, Rani Jhansi park, Scandal point and famous kali bari temple. Back to Shimla hotel after adequate enjoy for the day. Night Stay and Dinner at Hotel. After breakfast leave for Manali, on the way sight-seeing like sundernagar lake, Pandoh dam, Vaishno Devi Temple ,Nagger castle and overnight stay in Manali. This is the day for most glorious point of tour that is Manali to snow point (Rohtang Pass) and on the way back from snow point visit beautiful valley of Solang Valley ,Nehru Kund ,Marhi ,Gulaba, Rehalla fall, Bias Kund etc and overnight stay in Hotel. After taking breakfast local sightseeing of Manali “HADIMBA TEMPLE” Built in 1553 with a marvelously crafted four tiered pagoda roof . “CLUB HOUSE” The Club House with its inclusive facilities that contain indoor games like roller skating rink, billiards rooms, a library, a bar and restaurant managed by Hmachal Tourism “Tibetan Monastery, Van Vihar, and “VASHIST” Well known for its hot springs and temples dedicated to the sage Vashisth and to Lord Rama. and enjoy the mall road of manali. Early morning visit the Bhagsu Nag and water fall and take the breakfast leave for Dalhousie. On the way visit the dharmshala Dal lake,cricket ground and view of snow covered Dhauladhar range and amazing view of hills. Overnight stay in hotel at Dalhousie. After breakfast, Have a full day sightseeing tour of Khajjiar. Khajjiar,popularly known as Mini Switzerland. Kajjiar is the one part of Kala top wild life sanctuary of Dauladhar hills. 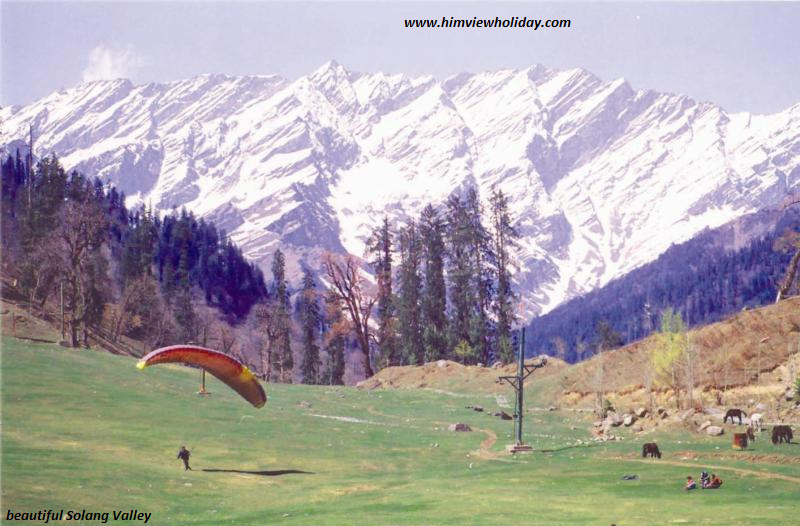 Green meadow , lake surrounded by pine trees make it must see destination of Himachal Pradesh. Huge green grassy ground will make you heavenly feel to sit on. Horse riding is available to fill the trip with adventure. Return to Dalhousie before evening. Night stay at Dalhousie. After having breakfast visit the Chamba local , chaugan and view of Ravi river, Chamera Dam and drive towards Chandigarh. Approx. 8 hrs. Journey. Check in to hotel & overnight stay. After taking breakfast leave for local sightseeing such as rose garden, rock garden & Sukhna lake. In the afternoon leave for Delhi drop at Railway station/Airport to catch on wards train/flight & back to home with lovable memoirs.